No matter how much you try to take care of your furniture, it will always be exposed to dust accumulation and occasional spills. That is why it is essential to learn how to clean upholstery by yourself. Below are instructions on how you can maintain your upholstered furniture and keep them looking fresh and well-cared for. Before anything else, make sure you vacuum your furniture first. This will remove all the dust and pet hair. Do it in a manner that you will be able to run through every part of the furniture. You can start from top to bottom or left to right; whatever suits the shape and size of the furniture. You can vacuum your furniture at least once a week to prevent dirt from settling into the fibers of the upholstery. When spills do happen, you must immediately attend to it and blot the liquid using a paper towel or a cloth. The sooner you tend to it, the less it will stain. However, if it does set in, you must know what type of material it is you are working on. If the furniture has tags, you must check for cleaning instructions the manufacturer has provided. If there are no tags, test your preferred cleaning solution on a hidden part of the furniture before using it on the rest of the stained portion. Most of the time, furniture tags indicate whether one must be cleaned with a water-based solution (W), dry cleaning solvent (S), either of the two (WS), or must be professionally cleaned (X). You must not risk cleaning your own furniture if you are not sure. If you want to use a home-made water-based cleaning agent (for upholstery with W or WS tags only), mix a reasonable amount of colorless dish detergent with water. Using an upholstery brush or any soft bristled brush, lightly brush the stained area. Be careful not to put too much pressure when applying the soap and not to soak the furniture. Next, use a dry cloth to dab out the water. After you’ve finished one side of a cushion, let it dry before starting with the other side. 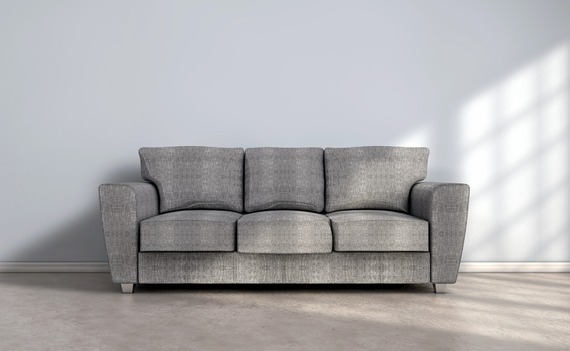 It is advisable that cleaning of upholstered furniture will be done on hot days when the cushion can dry within twenty-four hours. If not, you can always use a hair dryer to speed up the drying process. You can also use commercially available cleaners instead of a home-made solution, depending on the type of material your furniture has. These might be expensive for some so you may opt to use homemade solutions that also do not contain chemicals that can also be harmful to one’s health. Another suggestion is to use a a portable carpet cleaner like this. 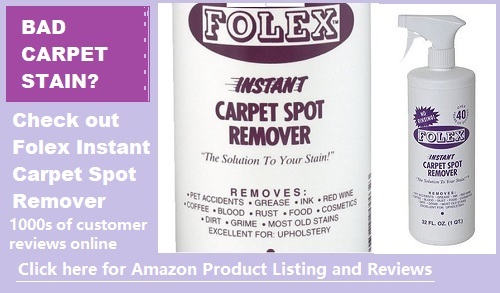 This is a handy carpet and upholstery cleaning tool to have at home. The machine has a brushing attachment and a motorized wet vacuum mechanism that enables the water to be suctioned out of the upholstery, thereby making sure that more dirt gets pulled out. Cleaning furniture can be complicated and tiring if not done carefully, so you must be cautious in keeping it clean. Vacuum your furniture every week so that dirt and dust will not attach to it. Avoid eating and drinking on your furniture to prevent spills. Prized furniture will survive long time if one knows how to take care of them. Disclaimer: The information on this website is provided “as is” without warranties of any kind. Some cleaning or stain removal methods may not work and even cause harm. Your use of our website or materials linked is completely at your own risk. Please always be very cautious and exercise your judgement with the information. A test on a hidden spot on the carpet or item cleaned could be helpful.